If you have, or are in the process of obtaining a financial planning degree additional coursework that you will study to prepare for the CPF exam will include general principles of financial planning, insurance planning, and risk management, Employee benefits planning, Investment planning, Income tax planning, Retirement planning, and Estate planning. While any degree program is acceptable for qualification, you should plan to focus your academic work in subjects that are math-intensive such as Statistics, Calculus, Economics, Accounting, Stock Market Analysis, or computer science. This is a very lucrative and secure career to choose. The fact is that being as governed and licensed as it is you are in a unique position. According to the United States Department of Labor, the median salary for CPF's is $69,050 and the range of salaries for individuals in the field for several years or more can range as high as $119,000! This is average for those employed by firms that provide professional Financial Planning, Retirement Planning, Employee Benefits Analysis, and related fields. This certification is in high demand in the insurance industry and securities firms. There are those who choose to establish their own professional service firms and the potential is far greater. Total employment as of May 2012 was about 208,000. The U.S. Department of Labor predicts that employment will grow by 30% over the next 10 years. This is a very strong outlook. Fundamental changes in the retirement and pension management for many industries are creating part of this demand, as is the phenomenon of increasing life expectancy. This is a highly competitive field and this is fueling growth. Once you have positioned yourself in the field, you will find that you are as secure as a doctor or a lawyer. 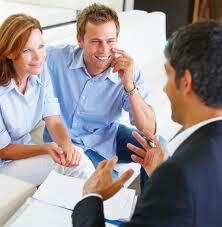 People must have professional help to manage their financial lives and that means you! It is important that you research and learn everything possible about this career before you enroll in a school.